Gabriel Biguria had a great time catching up with David Schnall in Antwerp, Belgium, during his visit to run the Antwerp Marathon. He also completed his second full Ironman triathlon in January in Cozumel, Mexico, and is now training for the Atlantic City, N.J. triathlon, in June. He heard from Walter McCormack that he also finished an Ironman triathlon recently in Mount Tremblant, Quebec. 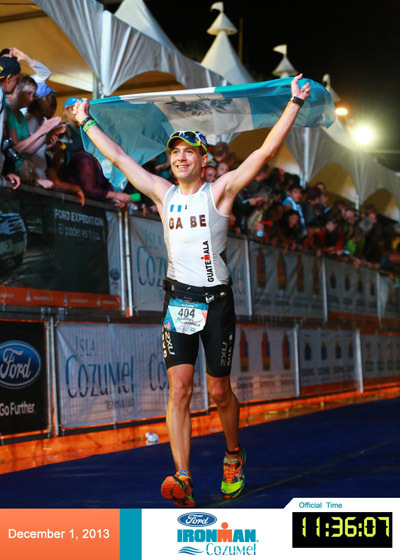 Priceless moment: Gabriel Biguria '96 at the Finish Line of Ironman Cozumel 2013! 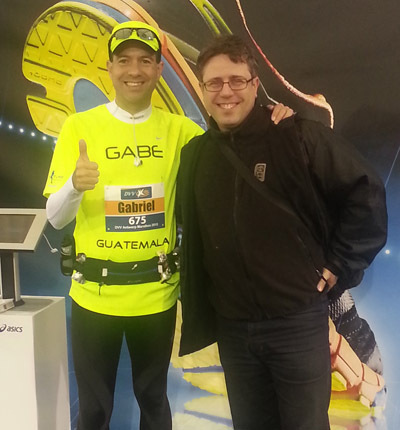 Priceless moment: Gabriel Biguria '96 hanging out with Dave Schnall '96 at the Antwerp Marathon.